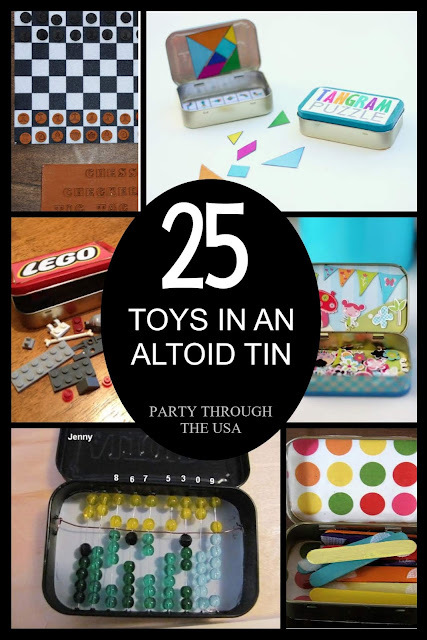 It's no secret on this blog that I love altoid tins. 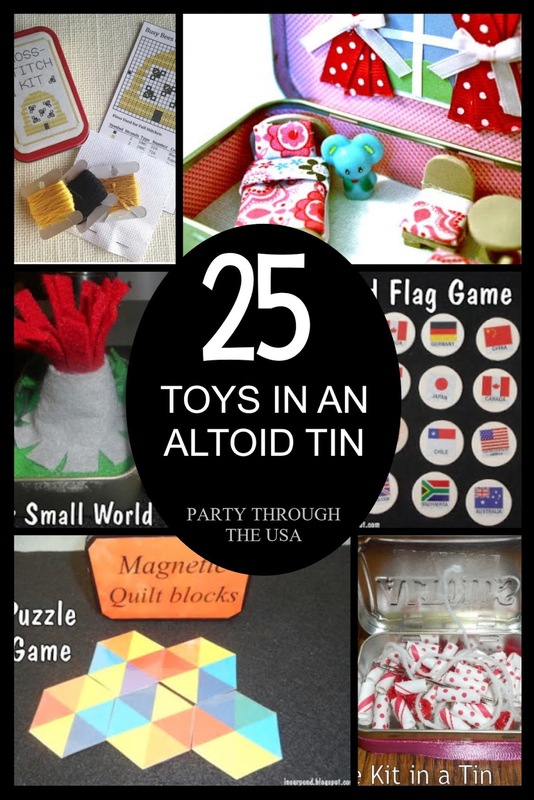 I've talked about storing homeschooling supplies, math games, and math counters in them. I've even talked about them in relationship to road trips before! When I was getting ready for our beach vacation, I looked at altoid tins again. 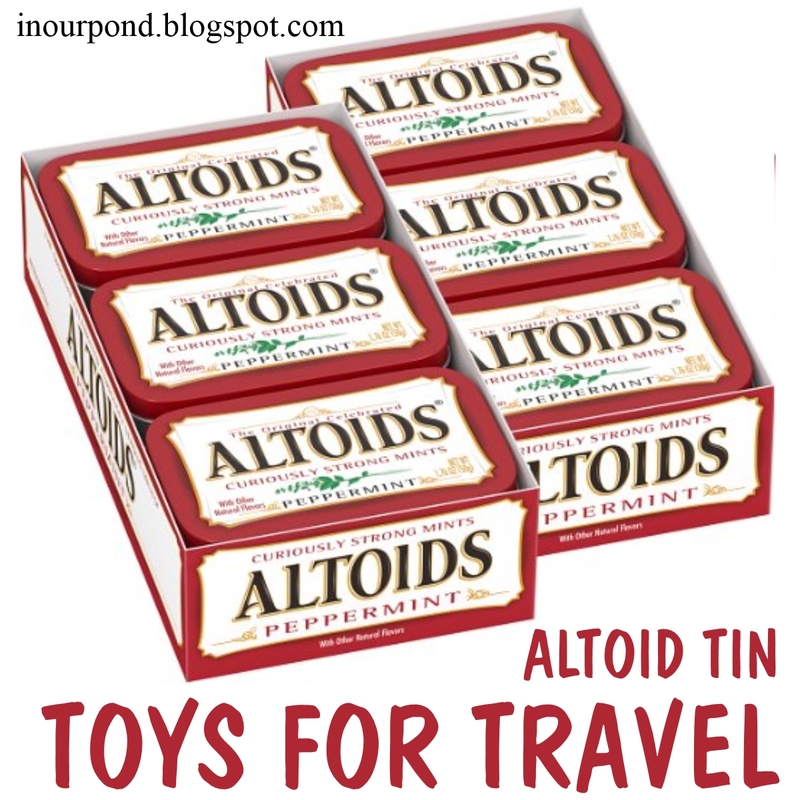 There are many uses for these small metal tins, but travel toys has to be my favorite use. 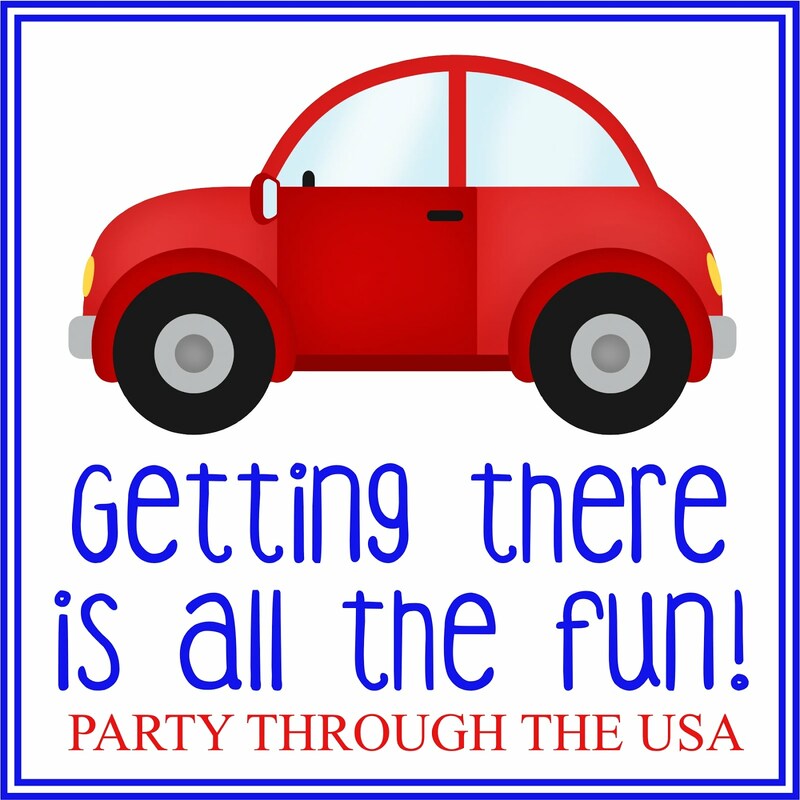 Use magnetic sticker sheets to make words and keep track of your State license plates. This is an amazing invention- in an altoid tin! Felt and mini Disney toys make up this magical small world. Safari Good Luck Minis make adorable toys for this underwater world. Use silver beads to recreate this miniature pool table set. Put sticker magnetic sheets onto shapes for letter shape practice. Use wood tiles and stamps to make a memory match game. Travel crafters need this tin with mini stamps and tiny ink. This adorable mouse is made with felt. 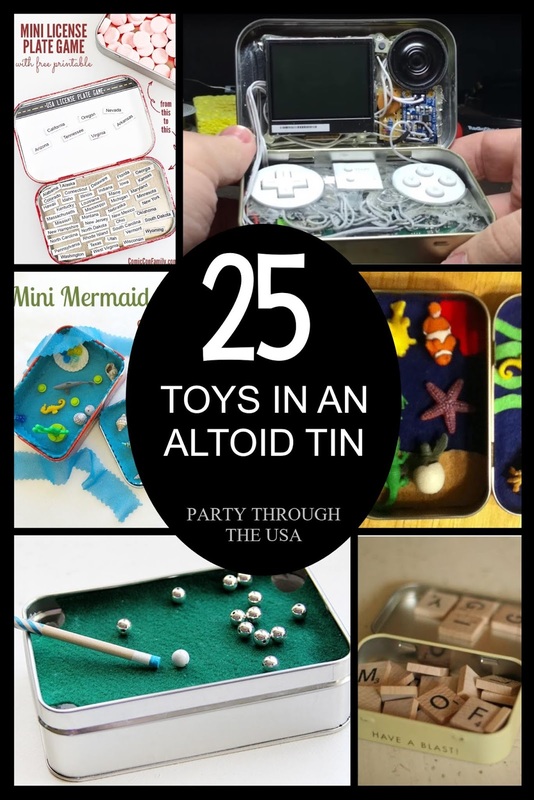 Make this creative mini game to fit completely in an altoid tin. troll toys are perfect for a road trip. This felt game set fits in an tiny tin! Get the free printable from the blog and add magnetic sticker sheets. How cool is this mini Lego set! Put stickers on magnetic paper for a movable scene. Make a math tool using small beads. Small colored popsicle sticks and velcro create a unique building toy. Print a cross stitch pattern and add some embroidery thread for a lovely way to pass the time. 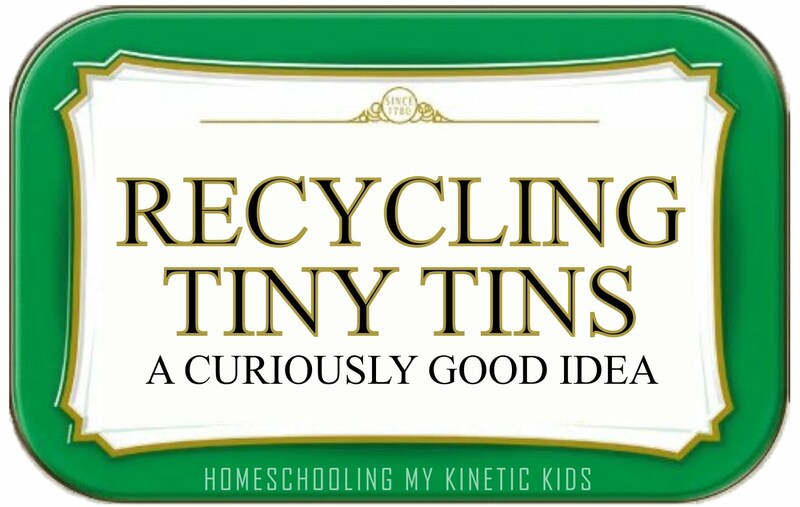 Give Squinkles a home in a tin. 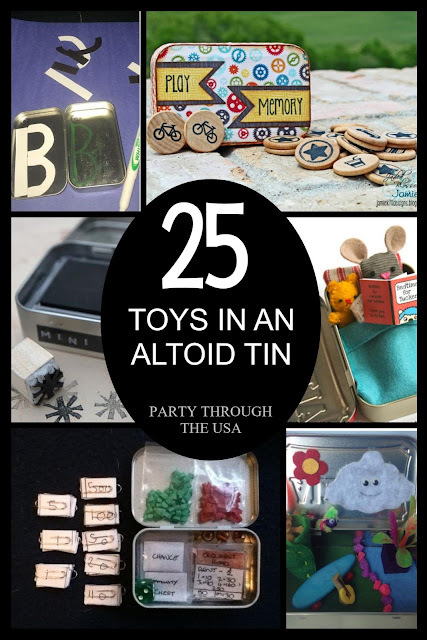 We love small worlds in Altoid Tins. This one uses dinosaur good luck minis, which are my kids favorites. Print and stick onto magnetic sheets for a challenging puzzle game. Cut up paper straws, pony beads, and yarn make for an easy to string necklace.